Nikole Starr Interiors is an award-winning full service interior design firm based in Richmond, Tx. We specialize in making you love coming home to your home. Full service Interior Design is the core focus of my business, I'm committed to capturing your style. The goal is to achieve a design that complements the home or business architecture, mindful of the budget, while helping the clients define their own taste. I find that successful design is about your lifestyle and creating a feeling, not just a look. From Space planning to Furniture & Accessory acquirement I work with you from conception to completion, buying direct from manufactures or shopping local. I believe your space should be a haven, a place where family, friends an workers feel welcome, just by the very gesture of opening your front door. Firstly, thank you so much to all our fabulous clients for allowing us to enhance your interior spaces! It is always an absolute joy to affect lives in such a positive and aesthetically appealing manner. We strive to understand and implement the right design keeping with our clients’ needs and satisfaction. Each experience is unique and we always look forward to the creative process. 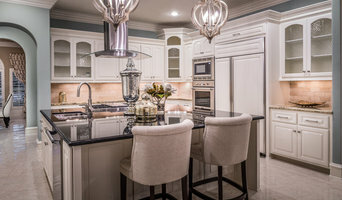 A full functioning Interior Design Firm in Sugar Land. Your one stop shop for all your interior design needs. 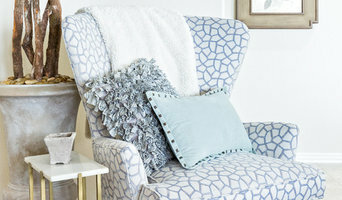 Kathe Baker's "Feathering the Nest" is a Houston-based Design and Full Service Decorating Firm devoted to creating environments of beauty, warmth and hospitality. "Being in a home for a meal and sharing life with friends is my greatest pleasure. I love to entertain and allow my home to be an extension of myself and I strive to accomplish this for every client. It is so fulfilling to get to know my clients and to be able to reflect their personalities, interests, and family life in their homes. The top priority with creating fabulous home environments is to make your home feel like an extension of you, not just the latest trend.” ~ Kathe Baker With a keen eye for beauty, Kathe appreciates all forms of true style. While she has impeccable personal decor preferences, her goal is to perfect the client’s taste within the home so that the end product is not just magazine worthy but it actually feels like your home. Fort Bend County Interior Designer Best of Houzz 2017! “Interior design for me is not just a job, it’s a lifestyle and a passion” Through the past 30 years I have been privileged to work on lots of different projects in a wide range of countries around the world. I have decorated private homes in Denmark, holiday homes in Spain, a hotel in Ireland, chalets in Switzerland and juice bars in London, and now as well great homes in Houston Texas. Every task is unique and challenging for me, I so love the diversity of styles and cultures. By personally getting to know my clients, I can transform a space that best fits their style and personality in a way that they may not have been able to accomplish on their own. I strive to create spaces that represent the client not the designer. In doing so, I get to experience the pleasure of making a vision into reality. A good home design professional will hone your style down to its very essence and be able to choose a functional layout that feels natural to you. Interior design companies can be involved as much or as little as the client desires. Many clients who hire an interior decorator in Richmond, TX — particularly those who are remodeling — have a good sense of how the room should look and what products they should use. Often clients will insist that interior decorators use the products already present in the house. Other times a designer will need to start from scratch — especially if this is a newly purchased or just-built home. An interior design company will need to figure out exactly what the client needs, which includes organizing rooms, picking flooring and wall colors, and finding furniture to complement it all. Sometimes that means he or she will have to recruit help from other Richmond, TX home professionals to help create the perfect look for your renovation. Here are some related professionals and vendors to complement the work of interior designers & decorators: Architects & Building Designers, General Contractors, Home Builders, Design-Build Firms, Photographers. 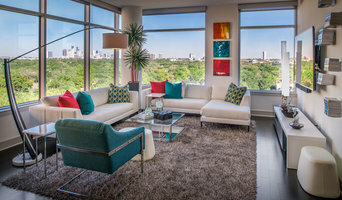 Do your research before meeting with an interior designer or home decorator in Richmond, TX. Ask yourself what you want your space to become and what it will be used for. Figure out the extent of what you need help with, what your must-haves are and what your budget is. Interior design services can add up fast, so be up front with a potential design firm or individual from the beginning. Also, pick an interior decorator that fits your style. Browse through the portfolios of different Richmond interior design firms and decide if you would live in those houses. Just because you like something doesn’t mean you could live in it. There's a big difference! 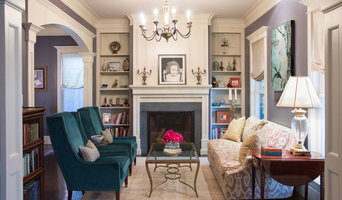 Find an interior designer or home decorator in Richmond, TX on Houzz. Narrow your search in the Professionals section to find Richmond interior designers near you. 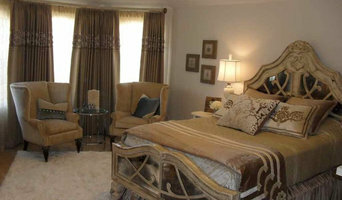 You can also look through Richmond, TX photos to find a room you like, then contact the design firm who designed it.